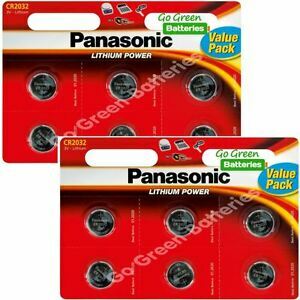 These small batteries are produced by Panasonic itself and also named as CR2032. They work with a voltage about 3 volts. You will get 6 batteries in one blister pack and you are able to use them in a calculator, camera, watch, flashlight, car device or in a weighbridge. Furthermore you should remove them from the used device as soon as you recognize they are wasted, because they can leak.